Remnants Starting at $1.29 sqft. Description - Precut Strong rubber rolls were designed to offer an all purpose rolled flooring solution for the residential user but also to be tough enough to withstand commercial gym use. 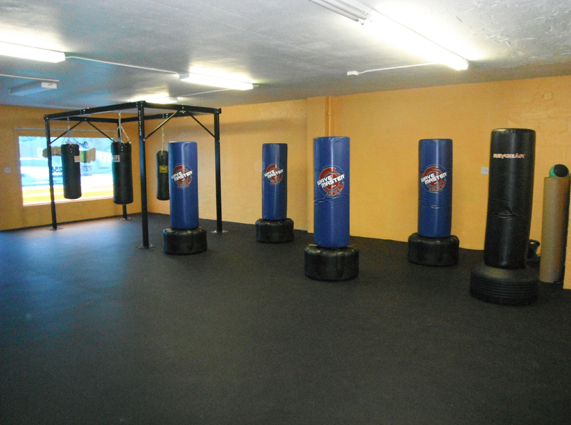 This rolled rubber flooring acts as an excellent middle ground between 1/4” thick and 3/8” thick rubber flooring solutions that have been the industry standard for years. In addition, these 25 foot and 50 foot precut rolls are priced extremely competitively to ensure one of the best rubber flooring deals available. While these rolls are priced to sell, they are still guaranteed and backed by our industry leading 5 year warranty. It is normal to receive extra inches on each roll as this allows for quick and easy installation. Material – Recycled rubber and EPDM colored rubber flecks. Recommended Uses – Pre cut strong rolls are designed to be used in home gyms, in personal training studios, in commercial weight rooms under exercise equipment, as basement and kid’s play room flooring, in pet care facilities, as locker room flooring where spike protection might be needed, and in any other places where a rubber flooring solution that is non slip and provides anti fatigue like qualities would be useful. 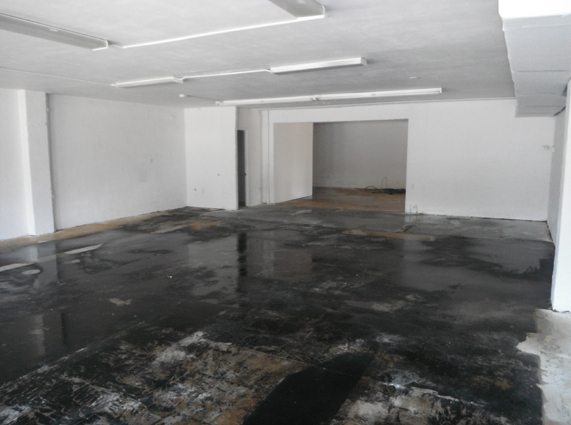 Vacuuming any loose crumbs, dust, or debris from the rubber flooring surface when necessary. Occasional damp mopping of the rolled flooring with a mild soap and water solution. A few recommended soaps are Dawn dish detergent or Tide laundry detergent. All purpose thickness works great for residential and commercial users. Industry leading 5 year warranty. Do you carry outdoor rubber rolls? If so what is the largest you carry I would need (1) 21'x 21' ? All of our rubber rolls can be used outdoors. For the size you are looking for, we would suggest our 8mm Strong Rubber Rolls. Here you can cut the rolls to your desired length. The rolls are 4' wide so you will need 5 rolls to cover area 21' long or you can go with 4 rolls which will be a little less than your area at 21' long. Has anyone installed this product on walls for protection? Our 8mm Pre Cut Rubber Rolls and many of our rubber flooring products have been installed on walls for protection. To get these rolls to stick to the walls, we recommend using our Polyurethane adhesive. Our 8mm Pre Cut Rubber Rolls can be used outdoors. The rolls are not UV stable, which means they will fade in direct sunlight. Is this rubber Food Safety compatible? Our 8mm Pre Cut Rubber Rolls would not be food-safety approved. They can be used as matting, but not as a full flooring surface. Can rubber flooring be used in a garage where cars will be parked? Our 8mm Pre-Cut Rubber Rolls can be used in a garage where cars will be parked. The only issue you may run into is that the floor may degrade when in contact with oil from your car or tires. Rule of thumb for our rubber flooring is that rubber flooring and oil don't mix, so if your car is in tip-top shape, you will not have any issues. I am really pleased to send this review and picture! We are a non-profit animal shelter in Vermont and just completed the expansion of our shelter. Of course, price was extremely important to us as well as quality…this product fully met our needs and expectations on both! 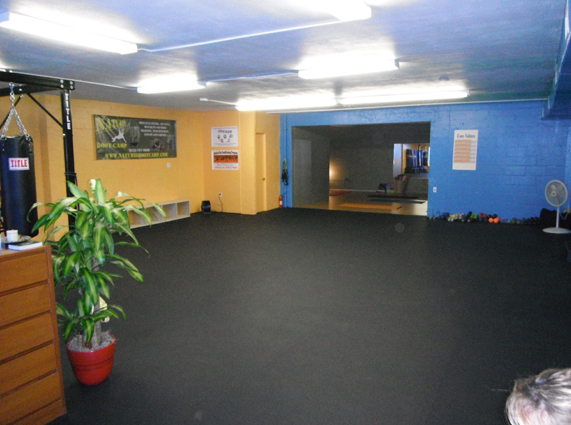 I spent a lot of time researching the product and found the pricing from Rubber Flooring the best on the market. If that was not enough, the employees were incredibly friendly and helpful. Lastly, when the product arrived, it truly was as easy to install as the staff had claimed it to be…I and one other person installed our area in about 3 hours! 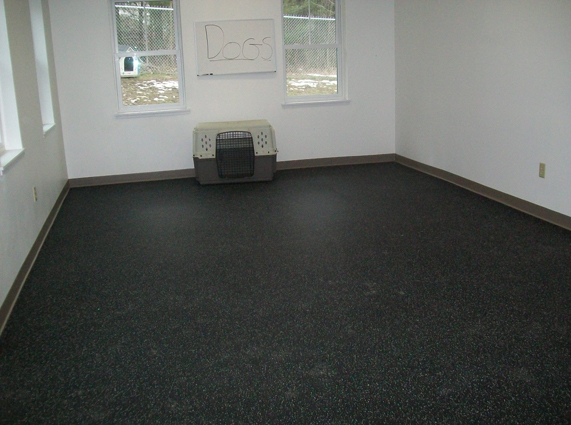 Overall, the product is perfect for our dog training room. Ordering was simple, installation was easy and it is exactly what we needed….Thank you Rubber Flooring for making this project so easy for us! Overall a really good product. 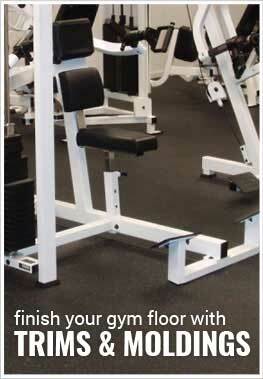 The flooring is similar to what you would find in a commercial gym. We have some very heavy equipment sitting on top of it and the floor is holding up great. In our prior home we installed a thicker, softer tile flooring. It did not hold up well. I read concerns in other posts about the room smelling like rubber after doing the installation. The recommendation when I called rubber flooring was to hose off the flooring and leave it outside for a couple of days prior to the install. This worked great and we have no smell issues. We did have an issue with the rubber shrinking slightly after the flooring was laid down. I would recommend after leaving it outside, that you then bring it back indoors for another 24 hours and let it adjust to the room temperature prior to doing the cutting and installation. All in all I would buy it again and recommend this product to others. This is a good product that goes down easily. I was concerned about curl, or memory from being shipped on a roll, but it laid out flat with minimal curl.